Every year it’s the same. We make these ground-breaking- life-changing, resolutions and then January kicks in. Granted they are usually made whilst under the influence of a great deal of champagne as the clock strikes 12 on 31st December. We then strive to make them work over the first week in January but our alcohol induced confidence has made them ambitiously out of our reach. There are the diet resolution makers amongst us, where we enthusiastically scrawl in our diaries, ‘only eat lettuce and rice crackers for 3 months’. There are the soon to be fitness fanatics, with January being the beginning to our ‘yoga-letica-dance-whatcha-callit class 7 days a week@ 5am’. This usually fails on day 1. Then there are the save more, spend less, talk to friends more, drink less, work harder, more familiar resolutions we all know and love. 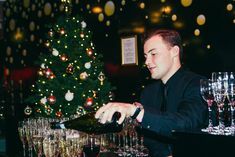 We asked some event professionals their top 10 New Year’s Resolutions and have added a few tips for actually achieving success in keeping them this time! Number 10 on our list must be the most achievable resolution, as it really is the only way to even begin succeeding at every other resolution. In addition to being organized day to day, organizing your whole year ahead now can be really rewarding. Clear clutter and clear your head! Volunteering doesn’t necessarily mean dishing out meals at the local soup kitchen. You could put your focus into volunteering at work, such as signing up to plan the work annual party. Party planning is fun, take it from us, and we can always help of course! If that doesn’t sounds like your cup of tea, try local organizations and see what opportunities they have. Be realistic before you get in touch as to how much time you have to offer and how much commitment you will give to it. This is a really positive New Year’s Resolution which is probably why it is number 8 on our top 10 list. If it is on your list don’t leap into the unknown as it may not be something you will seriously do. (Bungee jumping classes, anyone?) Why not try something based on the fact that when researched you can actually fit it into your schedule? Have a look at local classes in your area, talk to your friends and colleagues to see if anyone else shares a similar interest, or learn a skill by watching videos on YouTube. I saw a girl knitting on the tube recently; maybe that was her resolution last year! The Christmas period really dents the credit card and January can be an eye opener when the statement drops into our lap. Try selling your unwanted presents…or family members? This is one of most popular New Year’s Resolutions and on the back of the festive party season there is no wonder why. A January detox is a great way to restore health and balance. Try a juice cleanse, or if you really are a social butterfly, try sticking to 3 drinks on a night out, and have at least 3 ‘off’ days a week. Of course if you really can’t give up champagne like me, just pretend it isn’t bad for you and therefore it doesn’t apply. 5. Have more ‘me’ time! For everyone here in the events team, having fun is part of the job despite the long hours over Christmas! If you feel like you are putting in the hours without any of the enjoyment then make January the time you take something back for yourself. Stress at work becomes a huge problem when you can’t leave it at the desk and it starts to affect your whole life. Simple things like having a bath, going for a long walk, or reading a book on your commute really help. I would recommend champagne, but that probably goes against the ‘drink less’ resolution! If you’re a smoker there is a high possibility this little resolution has been on your list for many years now. Christmas parties often mean that we are drinking and smoking a lot more, so going cold-turkey (very festive) is not going to be easy come January. If you’re finding it hard, try a new method. Why not ask for Allen Carr’s Easy Way To Stop Smoking from Santa? 3. Get rid of that festive bulge! 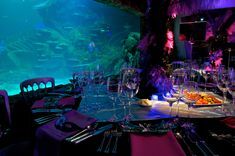 Canapés, Champagne, Turkey… the Christmas season is relentless with opportunities to feast! Going from all to nothing is therefore extra hard in January. It should not feel like a time to punish ourselves, but a new chapter of healthy eating. Set reasonable goals; try cooking light healthy meals for yourself (if your no Gordon Ramsey this could be your ‘learn something new’ resolution too!) and try to order smartly when eating out. 2. Become a gym bunny! Experience suggests we expect ourselves to turn into the likes of Jessica Ennis in January. The goal for a resolution is that it has to be achievable, and we have to stick to it. A frequent and steady exercise plan is recommended for New Year’s Resolution longevity! Talk to your local gym about classes and sign up now! 1. Spend more time with friends and family! This one probably rings a lot of bells. You want to stop feeling like the workaholic, antisocial person who never shows up to anything, ever. Why not suggest meeting up with friends once a month for a day trip? Having a fixed date in your diary helps you keep your plan. For family, good old-fashioned handwritten cards are a great way to keep in touch. Of course, with social media it is easier than ever to keep in touch… you might just have to plan it into your routine… that 15-minute train ride every morning could be this time! But for now, by all means forget all about it all until January and go celebrate, drink and eat your weight in mince pies!